Saturday, September 15, 2018 - This was the scene from the Outlet Beach stage right in the middle of a classic set from Wintersleep. This is our fifth year for the event and we got lucky with some amazing warm and sunny weather all day long. The crowd was glowing from a full day of music, family, and food. In between sets, people were are able to go for a swim in the lake and enjoy the beach. It was a such a great day! ARTISTS - A big thanks go out to all of our artists who performed as part of the 2018 show including headliner Wintersleep, Julie Doiron + the Wooden Stars, Gianna Lauren, Listen Up Kid, Ella Jade, Jeremy Kelly, and Triples. We heard from many of you that discovered new sounds and new songs, so thanks for appreciating the mix! ART ON STAGE - Thanks very much to Suendrini for providing our 2018 Art on Stage installation. She uses recycled fabrics to create original pieces with environment theme. Her work for Sandbanks Music 2017 was entitled "Protect". Learn more about Suen's work - http://suendrini.com. LEAD SPONSORS - Our lead sponsors provide the financial support that helps us to keep our ticket prices down and we thank them for that! Our lead sponsors this year included TD Bank, Parsons Brewing, County Cider, Lighthall Vineyards, Kinsips, Honey Pie Hives, and our valued kids area sponsors from The County. FESTIVAL SPONSORS - Our festival sponsors help us make this event happen and provide the parts to make it work so well. We sincerely appreciate the support of Brighton RV Spa, The Regent Theatre, County FM 99.3, The Wellington Times, Outside Music, Exclaim.ca, The Picton Harbour Inn, Frere Du Nord, Vintage Map Co, The June Motel, Vicki's Yoga, Books & Company, PELC, 91X Radio, County T-Shirts, Humble Bread. The event was presented by Zunior.com. VENDORS - Thanks to all of our food vendors including Picnic Food Truck, JK Fries, Outlet Food Co, The Shore Oysters, Bajan Bites, IDLE WILD pec, Chill Zone Ice Cream, The Pour Over Co, and Lemonade Dave. 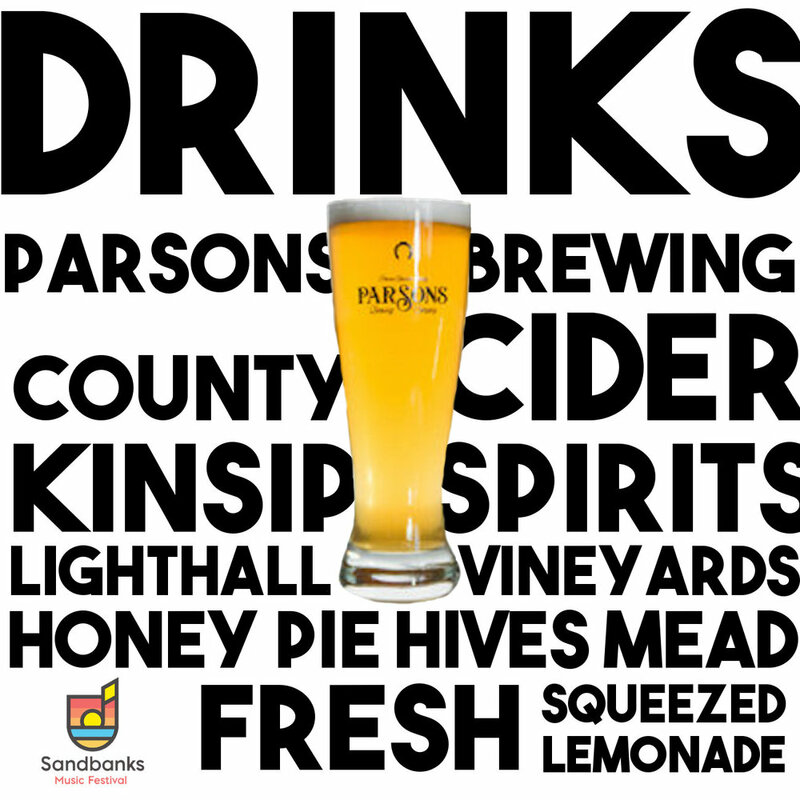 Also thanks to our drinks vendors including Parsons beer, Lighthall Vineyards wine, County Cider, Kinsip Spirits and Honey Pie mead. STAFF AND VOLUNTEERS - Big thanks go out to the team that worked our front gate all day long including Jen Sills, Emily and Maeve Cowan, Vicki Emlaw, and Helen Hawketts. Much appreciation goes to our set up and tear down crew including Steve Mee, Darwin McGrath and David Bennett. Thanks to Frank Ullrich/Sheila Scott and family for helping at the gate and with all around tasks. Thanks to Albert Ullrich for making the Arduino-controlled LED Sandbanks logo, and Bob Ullrich for making the 2018 event commercial. The kids area was sponsored by The County and Krista Dalby from Small Pond Arts, along with Treese Moore, led a superb team that made all the kids look like superheros with capes and face paint! Joel Yearsley from Kingston KSound provided the stage sound, with some help on monitors from Will. Our backstage artist area was in the capable hands of Nella Casson, with help from Sarah Borovszky, as our official Sandbanks Music Festival Band Concierge, doing a great job ensuring the musicians had all the essentials. Thanks to Humble Bread for providing backstage food for our artists. Thanks to Lori Farrington, Isabelle Patton, Emily Cowan, and Helen Hawketts for all the help leading up the show in so many ways. Thanks so much to Sydney Ullrich and Ruby Ullrich for creating our amazing 2018 poster! PARK STAFF AND FRIENDS OF SANDBANKS - The Sandbanks Park staff did their usual great job setting up fences, installing the stage covering and generally preparing and closing up the event space. Meanwhile, the Park Rangers were on hand to help all day long and make sure everyone was safe. The event itself serves to raise funds for The Friends of Sandbanks, and $1 from every ticket sold goes to The Friends. Big thanks to the park for hosting this event with their team under the direction Park Superintendent Robin Reilly, and Assistant Park Superintendent Agnese Bortolussi. FEEDBACK - We plan to do this again next year and we'd love to hear what you thought of the 2018 event, and what you might like to see next year. Please feel free to shoot me an email anytime with your feedback - dave@zunior.com, or rate our event on Facebook! We'll continue to post more photos in the coming days on social media using our event hashtag #sandbanksmusic and we encourage you to do the same. On behalf of the full team at Sandbanks Music 2018, thanks for coming and we hope to see you again on Saturday, September 14, 2019! Also be sure to come out for our sister festival called County Pop on Saturday, May 4, 2019! We had a lot of requests for our official 2018 festival t-shirt, which sold out at the event, so we’re going to collect orders until September 30 and then order one last batch. You can order them right here for just $30 with FREE SHIPPING! Makes a great gift. Here’s organizer and host Zunior Dave wearing the 2018 shirt! Sandbanks Music 2018 is coming up this Saturday and we thought you might appreciate a detailed overview of all the food offerings from each of our vendors. Plan accordingly so that you can try all the great things we’ll have on offer! Also be sure to show up early and get the things you really want as some items are sure to sell out. Doors are 2:00 and music starts at 2:30, so you we’ll see you then! Ices, ice cream, and more! …and while you are here, don`t forget about our drinks vendors too! See you this Saturday, September 15 and remember to buy your advance tickets right here if you don`t have them yet! Saturday, September 16, 2017 - This was the scene from the Outlet Beach stage right in the middle of a classic set from Great Lake Swimmers. We've been doing this event for four years and this was the first time it did not rain! The crowd was glowing from a full day of music, family, and food. We were all so happy that a band known for its love of natural spaces could round things out in the most beautiful Provincial Park in Ontario! ARTISTS - A big thanks go out to all of our artists who performed as part of the 2017 show including headliner Great Lake Swimmers, Lowest of the Low, The Inbreds, By Divine Right, Vallens, Solids, Lydia Képinski, and The Lonely Parade. So many told us you discovered some great new sounds this year, so thanks for appreciating the mix! ART ON STAGE - Thanks very much to Suendrini for providing our 2017 Art on Stage installation. She uses recycled fabrics to create original pieces with environment theme. Her work for Sandbanks Music 2017 was entitled "Good Reef! Helping the Dusk and Dawn Chorus". Learn more about Suen's work - http://suendrini.com. LEAD SPONSORS - Our lead sponsors provide the financial support that helps us to keep our ticket prices down and we thank them for that! Our lead sponsors this year included TD Bank, Parsons Brewing, Karlo Estates, County Cider, Empire Cider, Kinsips, Honey Pie Hives, and our valued kids area sponsors from The County. FESTIVAL SPONSORS - Our festival sponsors help us make this event happen and provide the parts to make it work so well. We sincerely appreciate the support of Brighton RV Spa, The Regent Theatre, County FM 99.3, The Wellington Times, Outside Music, Exclaim.ca, The Drake Devonshire, The Picton Harbour Inn, Frere Du Nord, Vintage Map Co, The June Motel, Vicki's Yoga, Books & Company, PELC, 91X Radio, County T-Shirts. The event was presented by Zunior.com. VENDORS - Thanks to all of our food vendors including Drake Devonshire BBQ, Picnic Food Truck, Sand and Pearl Raw Bar, Bajan Bites, IDLE WILD pec, Chill Zone Ice Cream, The Snack Shack and Lemonade Dave. Also thanks to our drinks vendors including Parsons beer, Karlo Estates wine, County Cider, Empire Cider, Kinsip Spirits and Honey Pie mead. STAFF AND VOLUNTEERS - Big thanks go out to the team that worked our front gate all day long including Emily and Maeve Cowan, Joanne Dullard, Jen Sills and Helen Hawketts. Much appreciation goes to our set up and tear down crew including Steve Mee, Darwin McGrath and David Bennett. Thanks to Frank Ullrich and family for helping at the gate and with lemonade. Thanks to Albert Ullrich for making the Arduino-controlled LED Sandbanks logo, and Bob Ullrich for making the 2017 event commercial. David and Andrea Lewis volunteered as our greeters at the front gate.The kids area was sponsored by The County and Krista Dalby from Small Pond Arts, along with Treese Moore, led a superb team that made all the kids look like superheros with capes and face paint! Joel Yearsley from Kingston KSound provided the stage sound, with some help from Rich Taylor. Our backstage artist area was in the capable hands of Susanne Larner as our official Sandbanks Music Festival Band Concierge, doing a great job ensuring the musicians had all the essentials. Our DJ Stephanie Horak from Stories Behind The Songs created a great musical vibe all day long spinning songs in between every set. 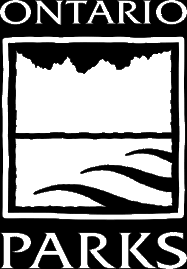 Thanks to Humble Bread, Sand and Pearl and PICNIC for providing backstage food for our artists. Thanks to Lori Farrington for all the help leading up the show in so many ways. Thanks so much to Ken Hudson from County T-Shirts for creating our amazing 2017 poster! PARK STAFF AND FRIENDS OF SANDBANKS - The Sandbanks Park staff did a great job setting up fences, installing our new stage covering and generally preparing and closing up the event space. Meanwhile, the Park Rangers were on hand to help all day long and make sure everyone was safe. The event itself serves to raise funds for The Friends of Sandbanks, and $1 from every ticket sold goes to The Friends. Big thanks to the park for hosting this event with their team under the direction Park Superintendent Robin Reilly. FEEDBACK - We plan to do this again next year and we'd love to hear what you thought of the 2017 event, and what you might like to see next year. Please feel free to shoot me an email anytime with your feedback - dave@zunior.com. On behalf of the full team at Sandbanks Music 2017, thanks for coming and we hope to see you again in 2018! Also be sure to come out for our sister festival called County Pop on Saturday, April 28, 2018! We had a lot of requests for our official festival t-shirt, which sold out at the event, so made a fresh order and you can buy them right here for just $30 with FREE SHIPPING! Makes a great gift. Saturday, September 17, 2016 - This was the scene from the Outlet Beach stage right before SLOAN started their epic set of fan favourite hits. A little rain was not going to stop this beloved Canadian band or the hearty crowd of music lovers gathered in beautiful Prince Edward County. The energy coming off the stage and the determination oozing from the crowd bound everyone together to create a night that will not be forgotten. It was amazing! ARTISTS - A big thanks go out to all of our artists who performed as part of the show including headliner SLOAN, Limblifter, Snowblink, The Peter Elkas Band, Jim Bryson, Taylor Knox and Jérémie Albino. We received lots of very nice compliments about the mix of music so thanks for that too! ART ON STAGE - Thanks very much to our Art on Stage installation provided by Suendrini. She uses recycled fabrics to create original pieces with environment theme. Her work for Sandbanks Music 2016 was entitled 'Blue' with a goal to bring awareness to issues around water. Learn more about Suen's work - http://suendrini.com. LEAD SPONSORS - Our lead sponsors provide the financial support that helps us to keep our ticket prices down and we thank them for that! Our lead sponsors this year included FACTOR Canada, TD Bank, Re/Max Sean McKinney, Karlo Estates, County Cider, Beau's Brewing and The County. FESTIVAL SPONSORS - Our festival sponsors help us make this event happen and provide the parts to make it work so well. 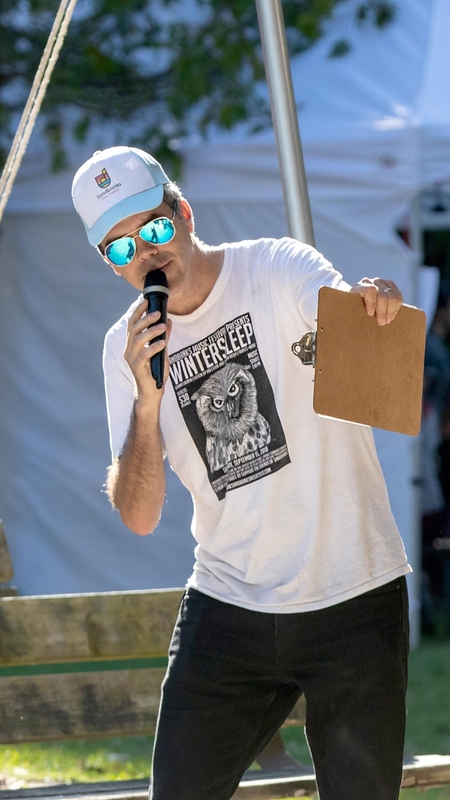 We sincerely appreciate the support of The Regent Theatre, County FM 99.3, The Wellington Times, Bay of Quinte Tourism, Outside Music, Exclaim.ca, The Drake Devonshire, OAK Clothing, The Picton Harbour Inn, Frere Du Nord, Vintage Map Co, Books & Company, PELC, 91X Radio, County T-Shirts. 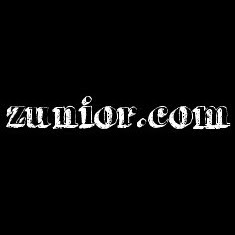 The event was presented by Zunior.com. VENDORS - Thanks to all of food vendors including The Drake Devonshire, PICNIC, Slow Taco, Slab Creek Pizza, The Shore Oysters, 10,000 Villages Coffee, Lemonade Dave, PELC Pops, The General wheelbarrow (!) and The Pink Lunch Pail.  Also thanks to our drinks vendors including Beau's beer, Karlo Estates wine, County Cider, Empire Cider and Honey Pie mead. STAFF AND VOLUNTEERS - Big thanks go out to the team that worked our front gate all day long including Emily and Maeve Cowan, Shana and Rob Cassista, Isabelle Patton from Books & Company and Helen Hawketts. Much appreciation goes to our set up and tear down crew including Nick Bolden, Frank Ullrich, Kate Ullrich, Darwin McGrath, David Bennett. Thanks to Albert Ullrich for making the Arduino-controlled LED Sandbanks logo, and Bob Ullrich for making the 2016 event commercial. The kids area was sponsored by The County and Krista Dalby from Small Pond Arts, along with Susanne Larner, led an superb team that made all the kids look like superheros with capes and face paint! Joel Yearsley from Kingston KSound provided the stage sound. Our backstage artist area was in the capable hands of Gabrielle Graham-Stevens as our official Sandbanks Music Festival Band Concierge, doing a great job ensure the musicians had all the essentials. Our DJ Stephanie Horak from Stories Behind The Songs created a great musical vibe all day long spinning songs in between every set. Thanks to Vicki's Veggies, Humble Bread and PICNIC for providing backstage food for our artists. Big thanks to St. John's Ambulance volunteers who were on staff all day long ready to provide support in the event of any emergency. Thanks so much to Ken Hudson from County T-Shirts for creating our amazing 2016 poster! PARK STAFF AND FRIENDS OF SANDBANKS - The Sandbanks Park staff did a great job setting up fences, installing our new stage covering and generally preparing and closing up the event space. Meanwhile the Park Rangers were on hand to help all day long and make sure everyone was safe. The event itself serves to raise funds for The Friends of Sandbanks, and $1 from every ticket sold goes to The Friends. Big thanks to the park for hosting this event with their team under the direction Park Superintendent Robin Reilly. On behalf of the full team at Sandbanks Music 2016, thanks for coming and we hope to see you again in 2017! 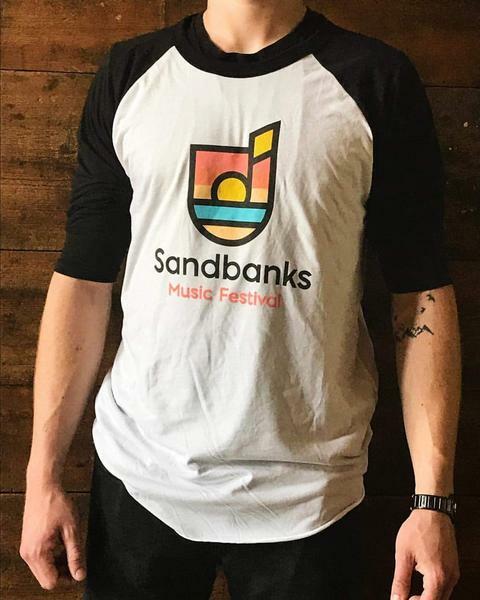 For our first official blog post on the Sandbanks Music Festival website, promoter Dave Ullrich answers the question 'Why SLOAN'? I do believe respect is earned, not given. Music has always been a huge part of my life, and having been lucky enough to be part of a real working/touring/recording band, I have my own view of what constitutes the 'good stuff'. SLOAN is a band with four songwriters, four personalities and four lines of musical pedigree. The result is a deep well of great music and it is definitely the good stuff. They've been doing their thing for over 25 years earning them respect in Canada and acclaim from around the world. They are the perfect band to play at Sandbanks Music Festival. My history with the band goes back to the first times I ever saw them in Kingston back in the early 90's. I was just starting to play in my own band and watching SLOAN rise was truly inspiring. After a few years finding some success with my own group, we moved to Halifax and the connection grew even more. We shared the same manager, they invited us to be on their label, we toured together. Members of SLOAN even helped unpack our moving van the day we arrived in town late one night after driving our 25-foot rental truck from Kingston to Halifax. Many years have passed since those days, but SLOAN continue to put out great albums, tour all over and earn even more respect from music fans everywhere. On September 17 at the Sandbanks Outlet Beach Stage, we'll all get a chance to see why SLOAN is one of Canada's all time greatest bands. The answer to 'why SLOAN' is simply because THEY ROCK. 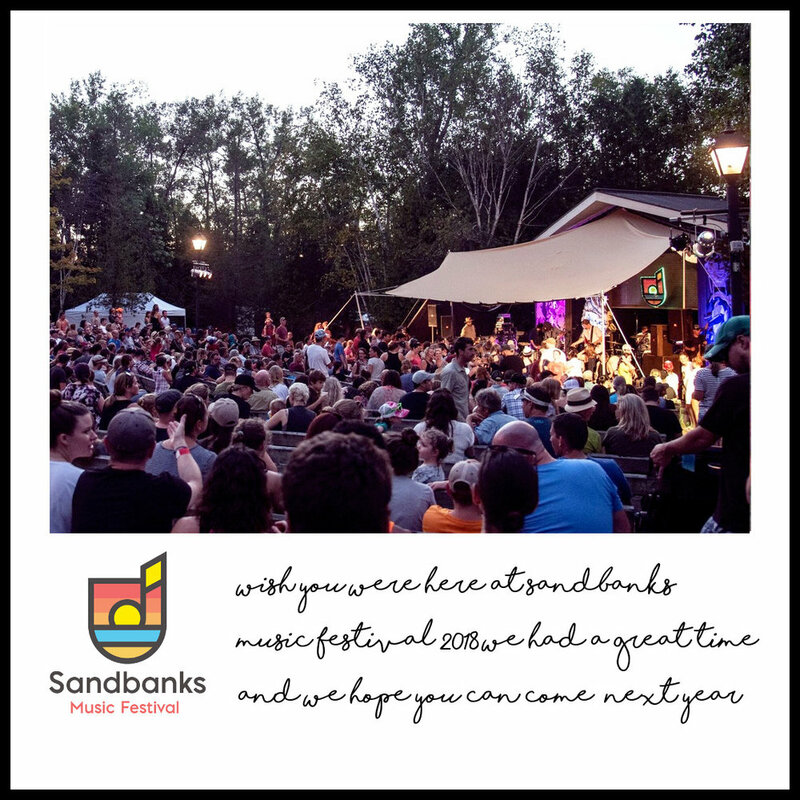 Thanks to our 2018 sandbanks music Festival sponsors and partners!